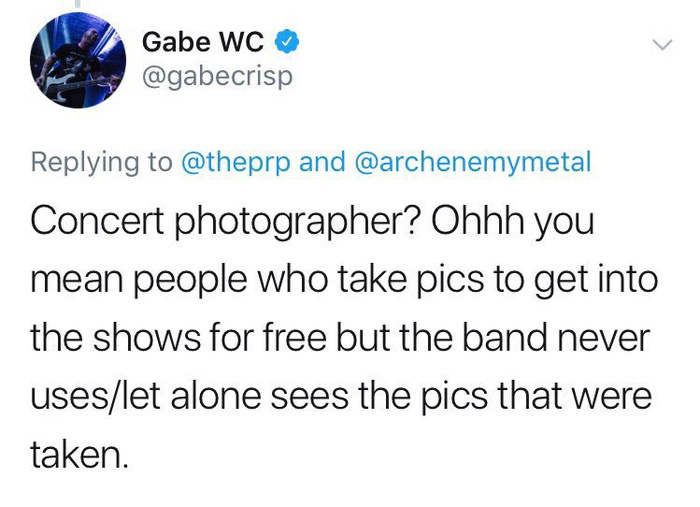 You may have seen an article floating around online about the metal band Arch Enemy banning photographer and full-time attorney, J Salmeron, from photographing their future shows after sending a takedown notice to an indie clothing company for using his image on social media.Since publishing our article (See: Photographer Gets Banned From Shooting Artist’s Show After Requesting Payment for Usage License), there have been some major updates to the story including lead singer Alissa White-Gluz digging herself into a bigger hole, both the photography and music communities up in arms, and the owner behind Thunderball Clothing issuing a public apology to Salmeron. First things first: Alissa White-Gluz. She’s taken to social media to continue to remark on the situation with Salmeron and explain her side to fans who disagree with her. Through everything, we’ve seen her victimize herself and Marta Gabriel, owner of Thunderball Clothing, to gain public compassion… though it seems to be working more against her. A lot of fans and photojournalists are calling her out online for this, which lead her to turn off comments on some of her social media posts. That hasn’t stopped her from responding to comments she’s received so far. See below for screenshots. While the internet is always a good place to spark a good, healthy debate, the split between who was justified in their actions, in this case, is just so shockingly even. Which is terrifying for any live music photographer. 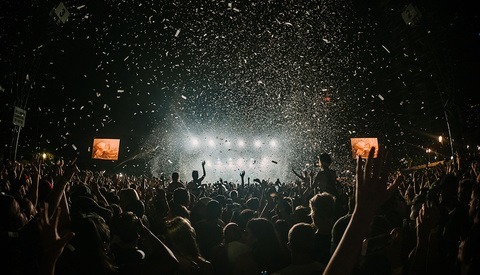 What many people still don’t realize is that a lot of photographers make their livelihood from photographing concerts and selling the images to the artists, management and label reps for them to use to promote the band, tour, and even new releases. Just like any other piece of copyrighted art — like music — should be paid for and accredited properly. Luckily for some photographers, while there are some bad seeds in the music industry who may not have grasped the idea of copyright working for more than one entity, a lot of my friends who also shoot concerts have been lucky enough to work with teams that were very understanding and professional. Other artists, however, were quick to jump in and share their two cents. See White Chapel’s bassist respond to an article published by another site below. Ironically enough, fans were quick to point out his avatar is a photo from one of their live shows. While a lot of people have been giving Gabriel credit for knowing when to fess up and claim her mistake and apologize, it still boggles my mind that so many people still don’t understand that social media can be and is constantly used as a marketing tool. To think anything else of the platform is purely naive. And though it shows maturity from Gabriel to issue an apology after everything blew up, for me, it only begs the question: “Why now?” Why after all this media attention and public scrutiny and not when it had initially happened in June? What do you think of Thunderball’s apology? Is it too convenient considering the amount of backlash they and Arch Enemy have received with the virality of this story? Let us know in the comments below! I think the realisation that the aggrieved party happens to be a full-time lawyer might have sunk in. I agree. It was probably not a set up, but one can wonder why so much tenacity as well. You can't know a person's heart... you can only evaluate the things that they say and the actions that they take. Whilst I think that apology was a by-product of all the negative publicity being earned by the band and the clothing company, I am also refreshed to see one in the first place. We have seen many of these squabbles ending up in a limbo without a learning lesson for anyone else. In this case the mature decision by Marta will hopefully educate the fans and other bands. Too little, too late. Marla missed the chance to express a genuine apology shortly after the offense. It appears that Alissa is blind or refuses to recognize Intellectual Properties. Of course, it doesn’t help when so many Record labels and management trample those rights for their own benefit also. Let’s hope the dialogue continues and the misconceptions are corrected. As a brand, Thunderbolt should have known better. Life is hard. It's even harder when you are stupid. The old saying is that "all publicity is good publicity." This episode has brought a tremendous amount of attention to Thunderball and I am sure that orders are going through the roof. Salmeron's efforts have done nothing but help Thunderball. Apparently not since she decided to shutter her business. It looks like the White Chapel Bassist Gabe WC removed the post, but of course nothing on the internet is ever gone for good. You can't ask for free access, add pics to your portfolio and move on. If you pay to shoot, that's another story. Was this a free concert? Apparently no. The band expect some kind of return, some exposure and a follow up in exchange of letting you in. They are not entitled to use the pictures for free, but then they don't have to let you in either. Use of the picture for the band can be mentioning an article the images featured in. Too often, people ask for press access only to grow their ego. You clearly didn't read the whole story. The photographer graciously allowed the band and the fans to share the photographs for their social media for free. It's when a business used an image to market their services (ie commercial use) without prior approval that problems started. I did actually read this. Metal blast today has this for message under their photography link - Our photography site is going through some troubled times... we'll be back soon - Not sure what that mean. Did Metal Blast sell prints to individuals? I don't know. Can any one sell prints from a not free concert without permissions? In car racing, only photographers who pay a fee to photograph are allowed to commercialize their images to businesses or individuals. What I'm saying is I need more details. Also I noticed Thunderball Clothing's apology yesterday, it's brand new. The case seem to be still active. Someone is still not happy. Benoit, he didn't sell prints, stop clouding the issue with commercial use to try confuse people. That has nothing to do with this. He was a photographer who photographed a show, it doesn't matter if he paid to shoot it or got in free to shoot it. He owns the copyright (unless he signs it away) and can decide how those photos are used. Now if he was hired to photograph the show by the band that means they have an arrangement, but that is not the case here. If I take a photo of Alice Cooper at a concert, unless I have a pre-arranged agreement with his people those photos are mine and he has to ask me to use them. If I want to make a poster of an image I took of course I have to get permission (and probably pay a licence fee), but again that has NOTHING to do with what happened here. I'm so sorry that curse words offend you and make you side with people in the wrong who infringe on a photographer's copyright, and then threaten to ruin his career by banning him from shows. I like to examine facts and logic to make up my mind, but I'm an adult. And I've met Gene. I agree with the title of the Metal Blast article. I didn't have to meet Gene to figure him out back in the late 70's. Never the less the title is actually polite compared to what's in the article that you probably did not read. Don't be sorry for me if you agree with curse words, thanks. No, he can take as many pictures he wants, but selling can have limitations. I read the article. I read it in 2014. Compared to most news and blog sites on the internet it's tame. Again, sorry if it hurt your delicate constitution to read bad words. Some adults talk and write like that. Have you been to or seen a stand up comedy show recently? Listen to music? Been out in the world? And no one is arguing about nor is the article about limitations of selling his work. He owns copyright on the photos and if someone wants to use them they have to pay him or get his permission. I took photos of a young and upcoming band this year and the band now wants to use the photos for the back of the first CD. I licensed the photos to them for a fee so they can use them on the CD (and I retain my copyright) . That's how it works. I don't understand why you keep harping on this point. Either you're looking for a way to make the photographer in the article the bad guy, or you really don't understand how copyright for photography works. None of my clients write or talk anywhere close to this guy. Yes, I do know how some stand up comedians talk and my 14 year old music is full of that crap. Is it necessary? It must be SUPER COOL I guess. But no, it's clearly boring when the effect is gone and generic. To your point, yes I do understand copyright. What I see here is a photographer who enjoyed the large exposure and flipped to lawyer when he decided social media was no longer cool. Don't do social media if you are afraid someone will re-post yours and expose your name. Your turn I guess since YOU keep whining about how un-cool I am. No, you don't understand copyright, and your previous comments and the one above confirm that point. I'm not even sure you are able to comprehend the above article. Photographers can post on social media. If a for profit company uses our photos on social media, we can demand payment because they 1. didn't ask permission first and 2. infringed on our copyright. It's very simple but that point seems escape you. >What I see here is a photographer who enjoyed the large exposure and flipped to lawyer when he decided social media was no longer cool. Don't do social media if you are afraid someone will re-post yours and expose your name. We don't give up our copyright when we post on social media. He didn't mind when Alissa re-posted his work, but took issue when a for profit company used it without asking him. If a company used one of your car photos that you've posted here on Fstoppers I'm sure you'd be calling a lawyer. What is wrong with a photographer protecting his copyright? You keep trying to paint this guys as being in the wrong when that's not the case here. He didn't even want money for himself, but a donation to a charity. No one but you talks about giving up copyrights. I clearly did not. No, I would not call a lawyer because a small company re-posted my post as is. That is totally different from using my pic in a ad. I understand the benefit of getting some publicity in social media. Now if they kept re-posting on a regular basis or if my image was altered that would be another story. Taking an image direct from your web site would be a no no as well. Last thing I would do is create a video blaming a racer's sponsor for re-posting on social media. Not worth getting a bad reputation. Clearly, it's post on social media at your own risk, even older people like me understand that. You can't tease and then flip, it's called social not trap media. Don't post if you are scared, this is not the '80's or make it private. 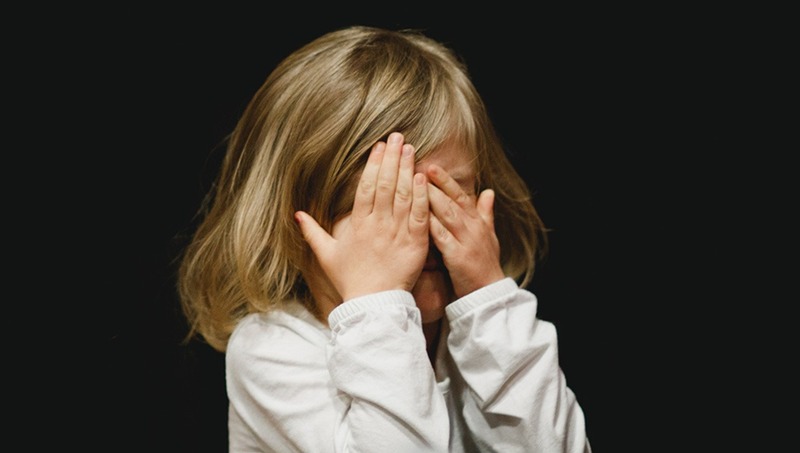 We are talking about losing copyright to our images if we let any company re-post it without our permission. What good is a copyright if we let any company, small or big, use our work? The whole thing that set this story in motion was the company used his image and he protected his copyright. You might just let it go, but others will defend their copyright. He didn't create a video because the company used his image. He created the video because the band over reacted and banned him from their concerts. It's right there in the title of his video, "We Got Banned By Arch Enemy". Again you are confusing the issue. You keep making out like the photographer was some cranky child who got upset someone re-posted his photo, which is not the case. He only asked for a donation to a charity if the company wanted to use the photo, which I think is a noble thing to do. Yes, well she did apologize and made a donation so what is your point? "cranky child" He made the video because he was banned, how mature is that? If you don't want to take the risk of losing the copyright of your images, social media is by far the last place to expose them. I mean don't we all know that by now? She made a donation and apologized AFTER all this blew up. She ignored his first email on Instagram and passed the buck to Arch Enemy when contacted the second time. Or did you miss that? >He made the video because he was banned, how mature is that? What is wrong with him making a video about this? This is something that happened to him, and he let people know about it. He should be applauded for speaking up and exposing this. Otherwise this would continue to happen and no one would say anything. So in answer to your silly question, it's very mature to stand up for your rights and expose a wrong that has been done. I respect that. I don't respect people who go belly up and let someone walk all over them. >If you don't want to take the risk of losing the copyright of your images, social media is by far the last place to expose them. I mean don't we all know that by now? And you act like images were never stolen before social media. I had images of mine used in a small magazine back in the 1980s with no credit, and never knew it until 2010 (long after the magazine had folded). They got them by taking photos of the images when they were displayed at an art show. Using your logic, I should have never displayed my work at the art show. Souvid Datta stole photos and passed them off as his own, in particular a Mary Ellen Mark image. He most likely got them off her own website or Google. Using your logic, she should have never published her image. Social media is just another way to display our work. If anything, it makes finding the infringing a little easier because we can find out about it almost right away, not over 25 years later. Like any infringement (taken from social media, a website, or an art show wall), when we find out about it we need to take action. Salmeron took action because he learned of it right away. It was too late for me with the magazine. Again, there is nothing wrong with a photographer going after people who infringe on their copyright. Clearly this is a rant about him losing access to bands concerts. Enjoy your day. Wow, you're still trying to twist things. If this was a rant, it was the calmest, most thought out rant with backing documentation I've ever seen on the internet. Again, you're trying (and failing) to make it sound the photographer was in the wrong or was acting immature. He was threatened with not only having future press access stripped, but the band said they be contact " ...label reps and booking agent who will inform promoters..." in a clear threat to blacklist him with other bands and venues. If it was a rant, he had a darn good reason to rant. Here is a fact for you, may be it can help you? I doubt it at this point. Metal Blast 35 hours ago had 6659 subscribers to their YouTube channel. That channel has been around 7 years. At the time I am posting this, 35 hours later, the same channel has 7233 subscribers, over 8% increase in one day and a half. I just wish I had paid attention to this on December 25th since they grow at 5% a day right now. Someone is growing fast and it's not Thunderball Clothing. 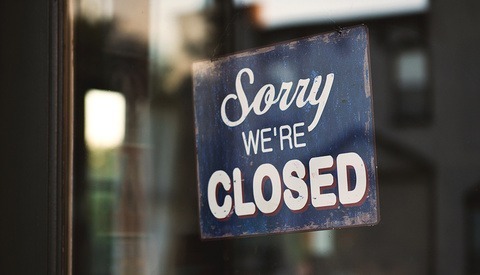 If you were sleeping, Thunderball Clothing closed for good last night. Happy New Year by the way. So? I mean it. So? Video subscriber increases have nothing to do with the incident above. People will see a bump in views and subscribers when a video goes viral. Truthfully, 8% isn't a lot. That's only 574 subscribers. That's nothing. I guess it is to someone who knows nothing about Youtube metrics, but that's a drip in the pan today with the way Youtube runs, especially since the "YouTube Adpocalypse". What you're trying to do to smear the photographer is suggest that he did this to get subscribers. That's silly. He has no control over what goes viral nor does he have control over people who decided to subscribe. If he had a nonsense video where he attacked the band with no proof and just rambled with half truths and unsupported allegations as he drool at the mouth (as most videos by people desperate for subs and views do), I might see it. But he presented his side of the story with supporting facts in a calm manner. You're just grasping at straws to try and make him look bad, and it's just making you look out of touch. At 24hours the number was 5%. Before 48hours, it was 8% and now at 63 hours subscription has reach over 12%. By the end of the day that will be 1K new subscribers gained in 3 days vs 6k in 7years. No I am not suggesting anything, but I do see a clear winner emerging and a shop that's now closed. Did you know that the site also had to remove a clip from another band because they were not approved, never asked the band! Irony, irony, irony!!! Their site does not have any ads, there is no adpocalypse at play here, just what seem to be a bothering ban. I can't help you, but good luck with your dead locked opinion. You are suggesting that's his reason, otherwise you weren't bring it up. It's a classic move of a troll who has no facts to support them, so they try and smear the subject they're against. Again, I see nothing that points to him creating the video to garner subscribers. The "YouTube Adpocalypse" was on Youtube and had to do with Youtube's restricting and demonetizing ads on videos on the Youtube site. It has nothing to do with his web site, but on his Youtube channel. I mentioned it to show that garnering subs and views are not a profitable as it was five years ago, or even a year ago. He doesn't seem to have a ads on his videos (I didn't go through all his videos so I'm not 100% sure). If he was doing to sinister reasons, as you keep implying, you'd think he'd put up an ad to get some money. >>Did you know that the site also had to remove a clip from another band because they were not approved, never asked the band! Irony, irony, irony!!! I heard about it on another story. First, I haven't seen any proof of that, other than someone in a comment section saying it. Once I see facts of the issue (again, not taking the word of an anonymous commenter) I'll make up my mind. If you have proof of that, please post it so we all can see it.